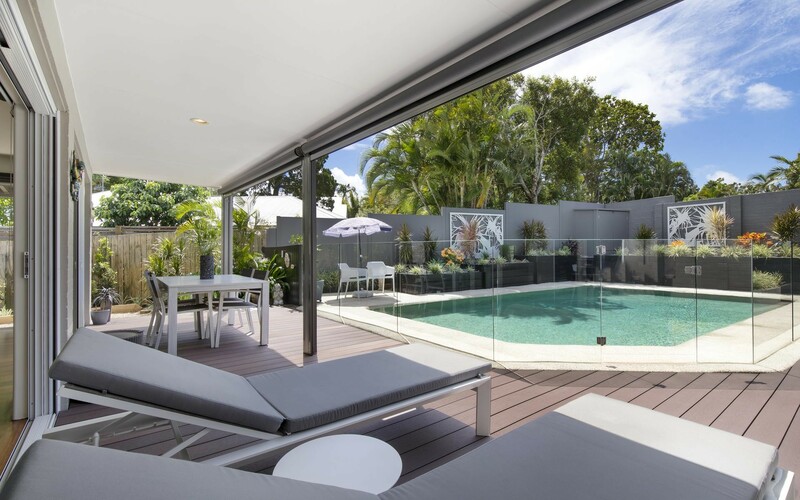 Hidden behind a secure entry, 11 Currawong Street is a private and stylish retreat that blends perfectly with its central Noosa location. 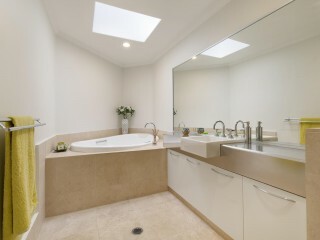 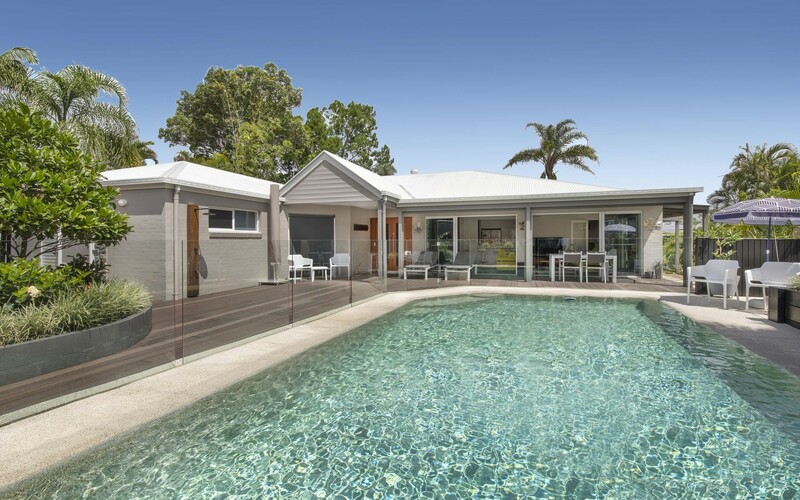 As you enter the home you are greeted by the sparking north facing salt water pool, creating a relaxed and understated feel that is carried throughout the home. 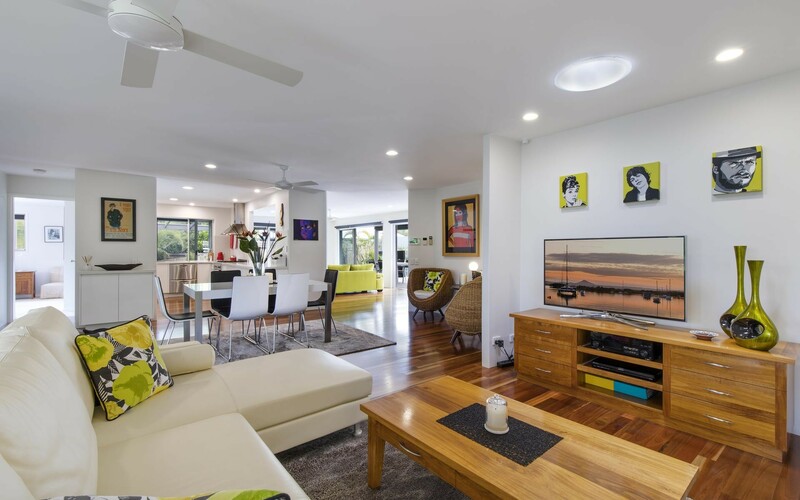 The spacious open plan design has two living zones, one casual lounge area that flows directly to the undercover outdoor patio via sliding stacker glass doors. 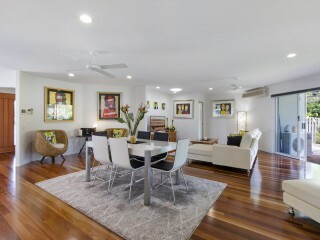 While the second living area combines spacious lounge with the dining area. 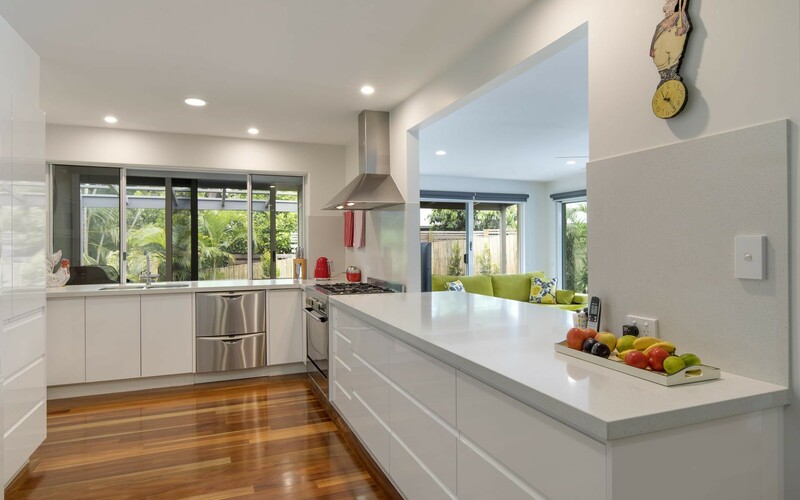 The deluxe kitchen is the hub of the home, granite bench tops, European appliances, breakfast bar and vast amount of soft closing drawers is everything you could wish for in a modern kitchen. 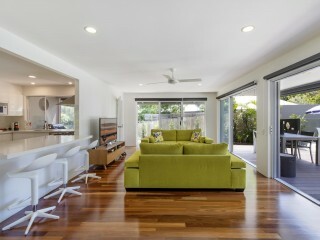 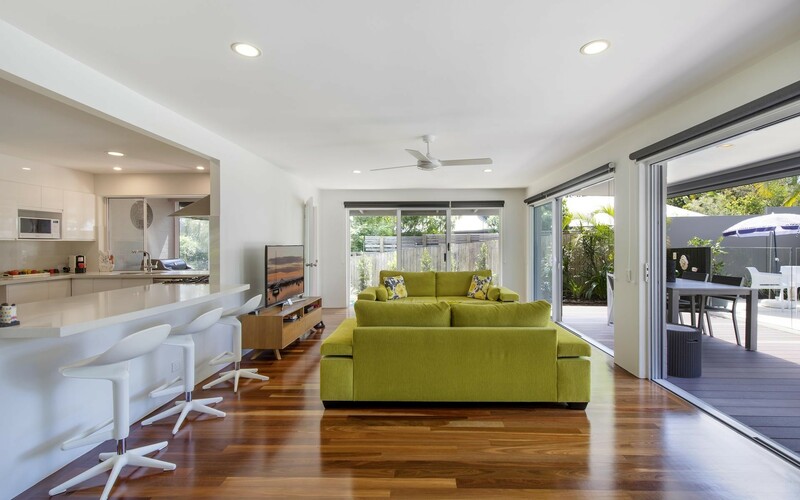 Rich timber flooring throughout the living areas creates a wonderful sense of warmth to the home. 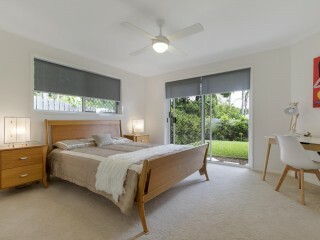 The generous master bedroom is well positioned with walk-in robe, ensuite and overlooks the rear landscaped gardens. 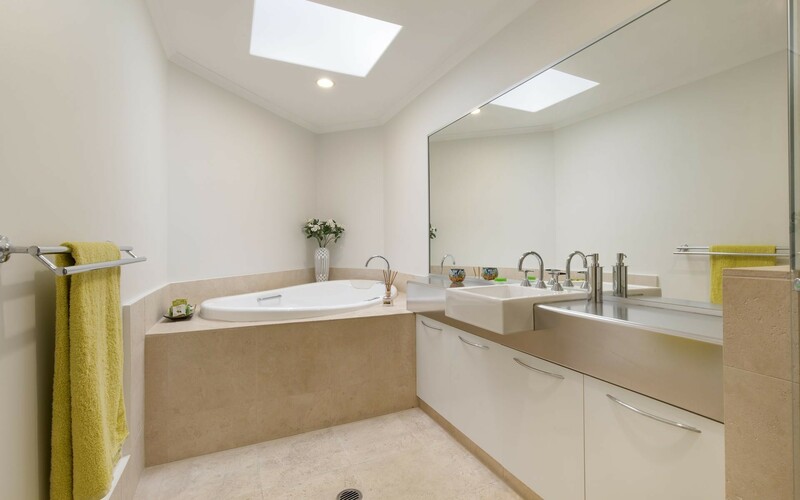 Two additional bedrooms have built in robes, a full bathroom with travertine stone tiling and spa bath services these bedrooms. 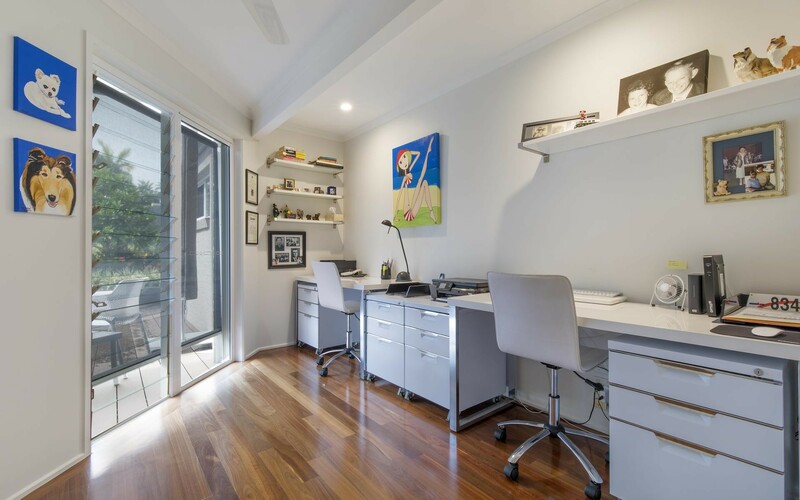 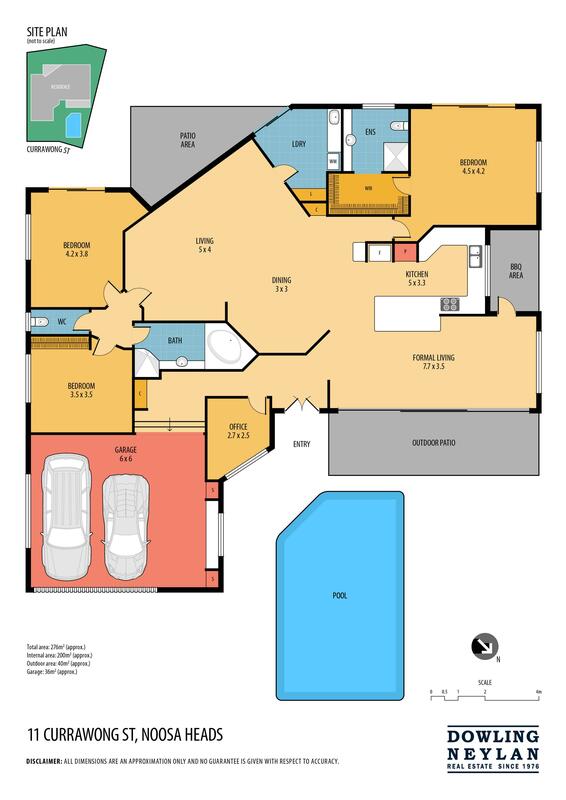 A home office is located at the front of the home perfect for working from home or ideal study area for teenagers. 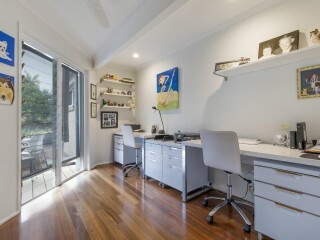 The oversized garage has a work bench, custom built in storage and ample room for two large cars. 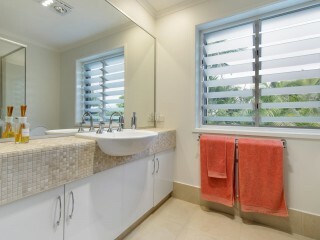 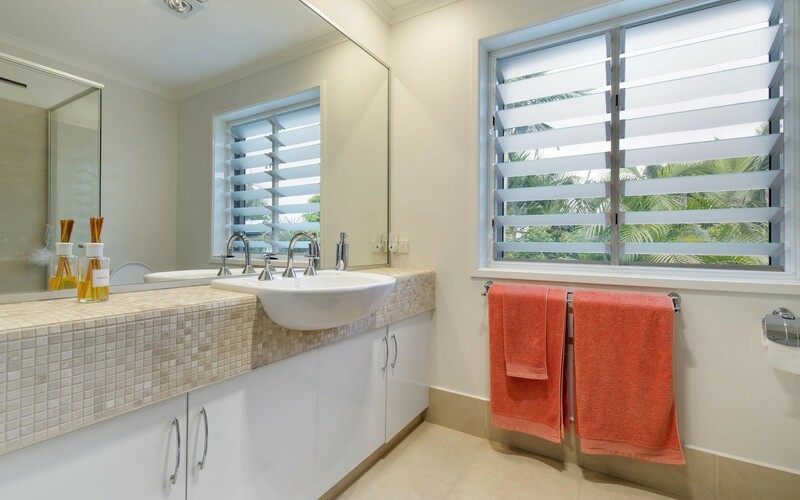 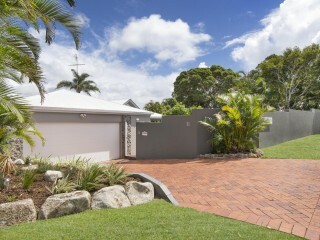 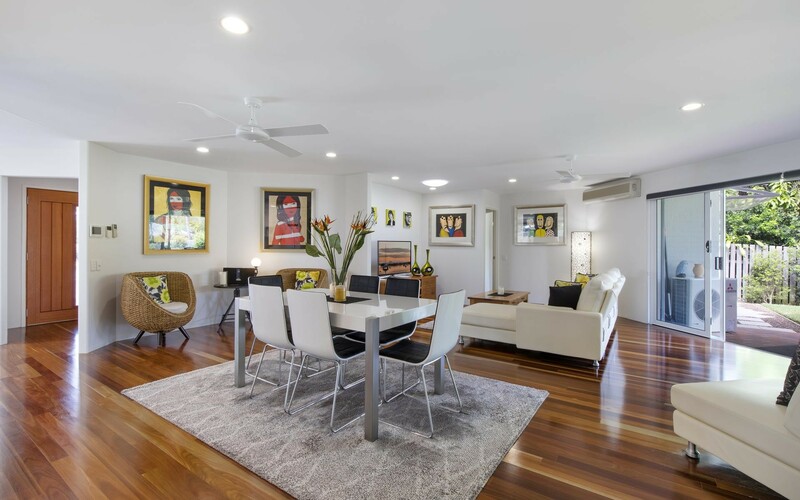 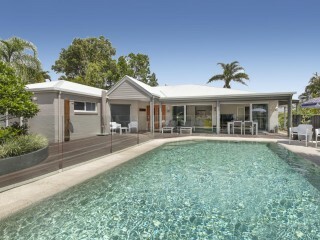 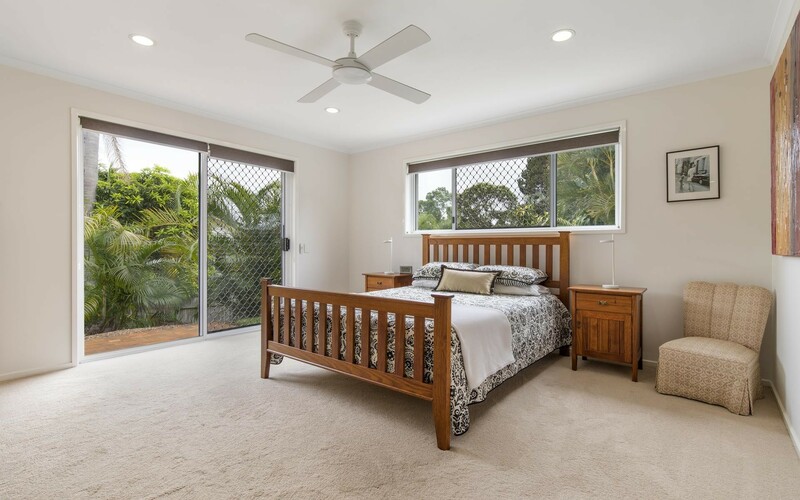 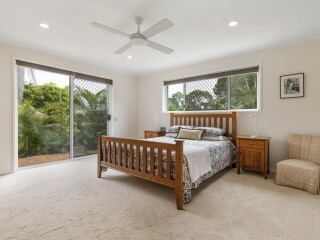 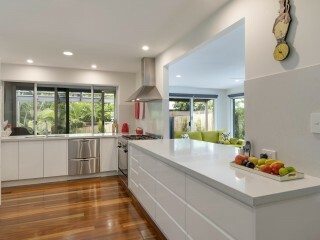 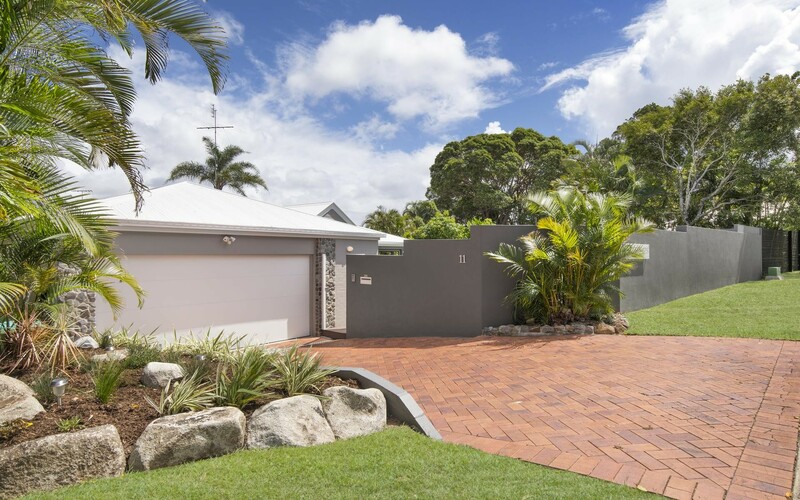 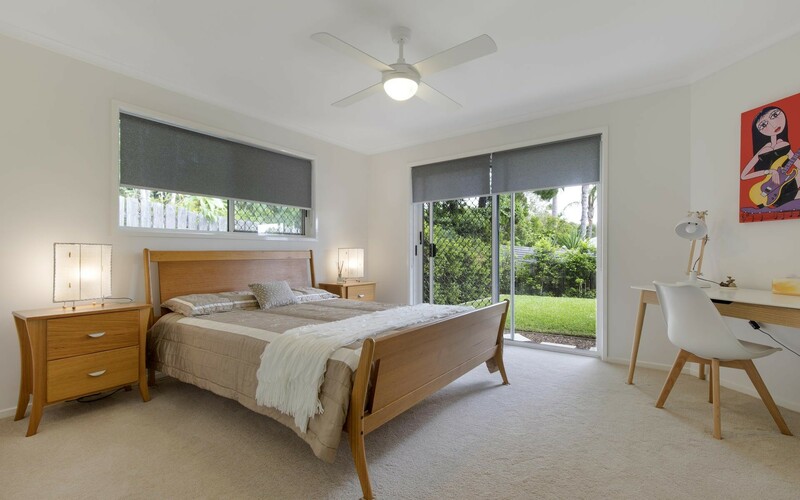 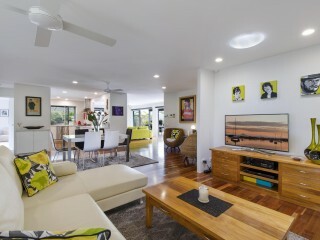 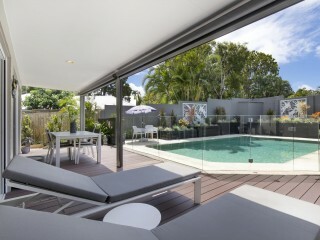 Located minutes from Noosa Main Beach and vibrant Hastings Street, 11 Currawong Street is the perfect Noosa retreat that combines style, privacy and a sense of space in one complete home.